This recipe is based on a traditional Tibetan recipe known as Momo. I have created this recipe using lean pork and omitted the covering made of plain flour, in order to make it suitable for those with a wheat allergy/intolerace. Small balls (koftas) are made with the minced pork and steamed. It has ravishing flavours. Put the mince in a mixing bowl and add the remaining ingredients. Mix well and chill for 30 minutes. Shape the mixture into small balls (koftas) about the size of a walnut. You should have about 8 balls. Dip your hands in cold water from time to time to stop the meat paste sticking to your fingers. Put the meatballs into a steamer and cook for 15-20 minutes. 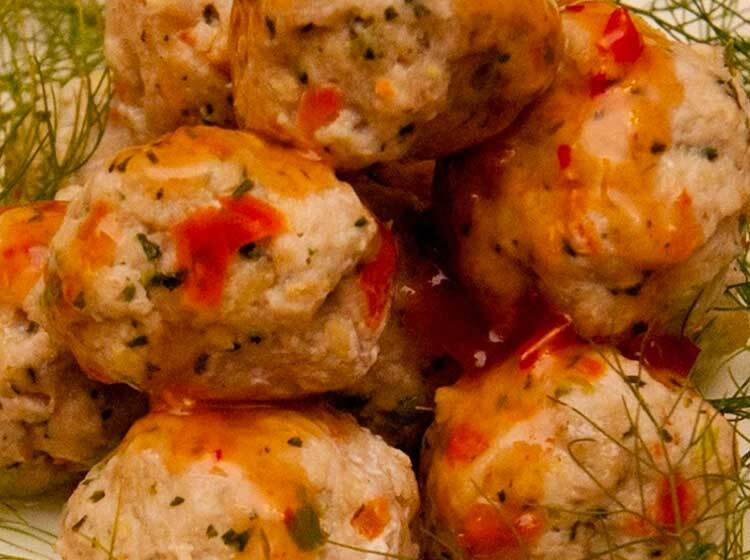 If you do not have a steamer, put the meatballs on a plate and place on a rack. Cover the pan and steam as above. Remove from the heat and serve hot or cold with a fresh tomato or tamarind chutney.